While there may be many similarities between flowers, each is unique, just like you. Sending flowers in Jonesboro? 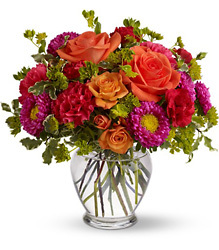 Our flowers, plants and gifts are all designed with you and your special recipient in mind! Our talented team of floral designers uses only the freshest flowers to bring to life both the newest ideas as well as traditional design. We make it easy to bring the color and beauty of flowers into every special occasion or any day at all! In our flower shop in Jonesboro, we have a wide variety of gift items including jewelry, candy, plush animals, balloons, and gift baskets for any occasion. If you don't see just the right gift, ask our floral designers and gift specialists - we can custom design the perfect gift just for you. 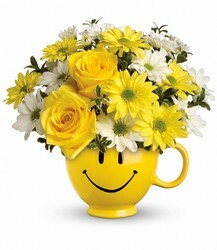 Order your fresh flowers online or call 870-935-3261. We are ready to bring your ideas to life... let us create something unique for you! We deliver flowers daily from our convenient location on Wilkins St., just behind the Kroger Marketplace. You can also pick up your arrangements during our normal business hours. Faught's Flowers and Gifts is your local Jonesboro florist that delivers flowers not only all over the area but also to Arkansas State University (ASU). You can trust Faught's to design and create a unique gift for your ASU student, faculty member, or alumni. Our designs feature artistic interpretations of the Arkansas State University colors or mascot are available in many different forms. In our florist showroom, you will find unique artwork from local Jonesboro artists. We deliver flowers to the Arkansas State University Jonesboro campus as well as the other local Jonesboro area schools. If you have any questions as to whether we can deliver to your location please call us at 870-935-3261 and we will be happy to answer any questions. Thank you for making Faught's your favorite Jonesboro Florist! Faught's Flowers and Gifts, a premier florist in Jonesboro, AR, is proud to offer same day flower delivery to Jonesboro and the surrounding areas. 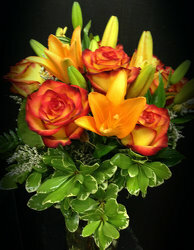 Our professional and friendly florists will make every occasion memorable with flowers in Jonesboro like no others. We offer same day flower delivery in Jonesboro and the surrounding area, and we also fulfill flower orders across the country through our nationwide network of dependable, professional florists. 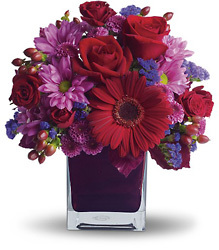 At Faught's Flowers and Gifts, your local Jonesboro Florist, we know how to send flowers in Jonesboro for Valentine's Day, and we deliver Mother's Day flowers, Get Well flowers and anniversary flowers in Jonesboro to residences, businesses and schools. 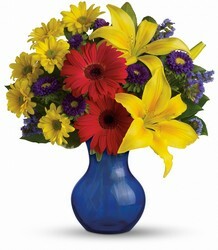 As your local florist in Jonesboro we make it easy send the perfect gift to show your loved ones how much you care. Faught's Flowers and Gifts is proud to be your local flower shop in Jonesboro and has a wonderful selection of sympathy flower arrangements for you to choose from. 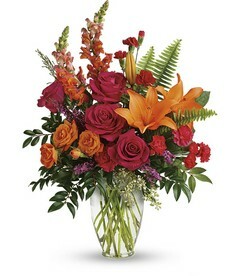 We can also help you with sending birthday flowers in Jonesboro or to the surrounding communities. As a long-time Jonesboro florist, we use only the freshest flowers in our bouquets, so call Faught's Flowers and Gifts and we will deliver the most beautiful flowers in Jonesboro, AR. 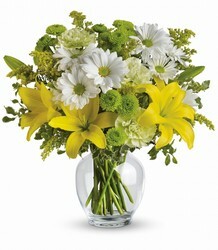 Order flowers in Jonesboro at your convenience, 24 hours a day, 7 days a week using our secure online florist at www.faughtsflowers.com. The online flower selection from Faught's Flowers and Gifts is sure to have something perfect for your event or occasion in If you need a florist in Jonesboro that you can’t find anywhere else, call our expert Jonesboro florist so we can design something unique for you.